Fellow cruisers, Thank you all for the great turnout at Half Moon Bay!! We drew quite a lot of boats for a coastal trip and I believe everyone had a good time. Pictures will be posted soon to the fleets “Flickr” site for all to enjoy! We’re just over 3 weeks away for our next cruise to beautiful Benicia! 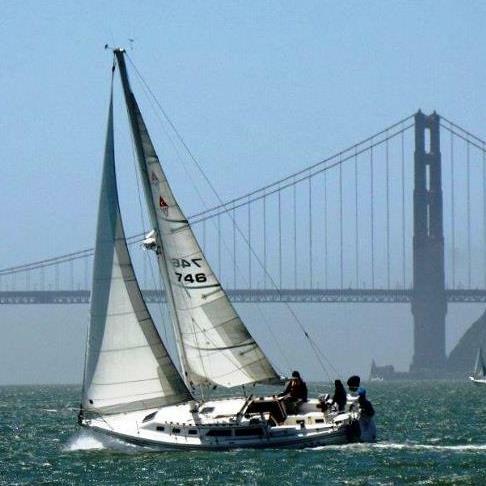 Join us on Friday, June 3rd through Sunday, June 5 on this great cruise through San Pablo Bay and under the Carquinez Bridge to the Benicia Marina. I’d like to get a boat and crew count as soon as possible so we can reserve the slips. (Tim Graham of Nessie, gets first slip choice this cruise to make up for their horrid accommodations at HMB, sorry about that sir!). Also, I’ve made reservations for Dinner Saturday night at Sailor Jacks a few short blocks from the marina. Please please, let me know if you can attend plus how many in your party. More logistical info to come..
Benicia, I need boat and crew counts PLUS dinner attendees. The sooner the better guys!